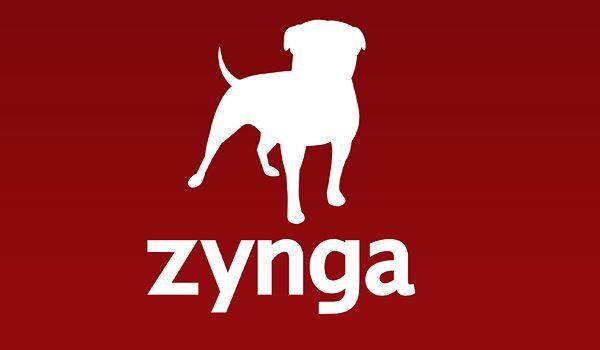 If the reports are to be believed and the long expected Zynga IPO does soon happen, the company may then be faced with a mass exodus of staff that are planning to cash out then seek better working conditions. The San Francisco-based start-up Zynga has been at the forefront of the growing casual and mobile gaming craze, and has produced four of Facebook’s top five most used game applications. The company currently has over 200 million monthly users on the social network, and is estimated to be worth between $15 and $20 billion, so it was no surprise when the developer filed with the SEC on July 1. Since then, the IPO process has met with numerous delays, but none of them are particularly serious, and Zynga is expected to release a date and price in the next week or two. It should prove to be a very Merry Christmas for CEO Mark Pincus and the Zynga staff, followed by what may be a difficult new year. According to a report from the NY Times, several of the employees at Zynga are not happy with the working conditions, and may be planning a mass exodus as soon as they can cash out their stock following the IPO. That may seem like a risky move in these financially wacky times, but Zynga employees are highly respected in the development community, and most should have little trouble landing elsewhere. Earlier this month, a recruiting firm even sent around 150 cookie baskets to employees, and others are likely envying the move. The working conditions at Zynga are no secret to those in the industry, and its reputation is already a source of concern. Earlier this year, Zynga offered $950 million in cash for mobile game developer PopCap, but the company’s founders were concerned with what they had heard about Zynga’s internal workings. PopCap then went on to accept less guaranteed money ($750 million in cash and stock) from EA, as well as potential bonuses for goals met. Rovio, the maker of the ridiculously successful Angry Birds game, also decided to end negotiations with Zynga, despite a potential deal worth nearly $2.25 billion in cash and stock. Each week, managers for each department submit reports based on how the game is being received by the public. If the game begins to lose traffic, the managers then turn on the team and force longer working hours while going through the minutia of each employee’s time spent. If a particular employee is falling behind, they will immediately be demoted or fired. While that might not sound out of the ordinary, Zynga places a heavy focus on its employees’ metrics. Aggressive deadlines are common, as are constant threats from the executive staff. When the employees do well, they are treated like royalty, receiving gifts like vacations and additional stock. If they do poorly, they can lose part of their equity packages and be offered a smaller salary—or the door. Earlier today Venture Beat published the findings from Glass Door, a career services firm that interviews employees and asks them to rate their CEO. On average, CEOs have an approval rating of around 62-percent. Pincus was given a fairly troubling 46-percent, and Zynga as a whole was given a workplace satisfaction rating of 2.6 out of five. The criticisms ranged from poor hiring practices to overworking employees. In what appears to be somewhat suspicious timing, earlier this month Zynga’s Chief Business Officer, Owen Van Natta, resigned without explanation. His sudden and ill-timed departure means that he will miss out on the IPO payday as a full-time employee, but due to an older Zynga clause, he will still receive the benefits from stock he was given when he was first hired. Reports of long hours and demanding working schedules aren’t uncommon these days–especially in the gaming industry–but it could come back to hurt the developer. Zynga is currently the leader in casual and browser-based gaming, but it is facing growing competition. Even now its competitors are likely just as excited by the prospect of Zynga’s IPO as the shareholders are, because it will mean employees can cash out and have very little reason to stay at Zynga. If another company swoops in and offers someone a better work environment, there is very little to keep them from leaving. Zynga is also in the midst of further expansion, and it has two new games on the way, but the possibility of greener pastures following a decent payday from the IPO could cost the developer some crucial employees.